When thinking of Indiana agriculture, most people gravitate toward vast fields of corn and soybeans. 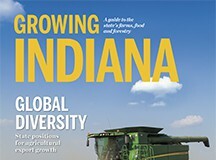 And while those crops are extremely important to the state, Indiana has earned its spot in top national rankings for several other commodities. The Hoosier State is 10th nationally in total agricultural production and in the top five for crop production, thanks to the abundance of corn and soybeans. It’s also ranked fifth in the nation for swine production and third for poultry. In the fruits and vegetables category, Indiana takes the fifth spot for cantaloupe production, sixth for tomatoes and watermelon, and 12th for blueberries. Indiana may be known for corn, but the state’s aquaculture industry (or fish farming) is gaining speed. Indiana produces roughly 1.5 million pounds of fish per year, ringing in at a total estimated value of $15 million for the state’s economy. About 40 farmers grow several types of fish including tilapia, yellow perch, prawns, baitfish, catfish, shrimp and more. State's hardwood companies focus on international and niche markets. 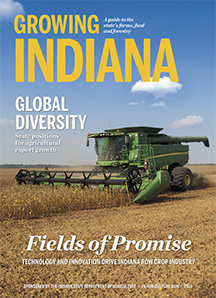 Indiana's diverse fruit and vegetable industry proves viable for the state. To find out what's growing throughout the year, take a look at this helpful Indiana produce calendar, which shows when your favorite foods are in season. Turfgrass industry has deep roots in Indiana. State programs seek markets for global trade. From pork to the ports, Indiana is an export hub destined for growth. ISDA soil conservation division provides agronomic assistance and expertise to Indiana farmers. 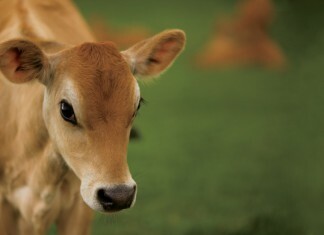 Award honors agricultural legacies and encourages the next generation of farmers. Indiana agribusinesses and organizations join together to position the state for innovation and growth. Cornish hens may seem fancy, but this simple dish is a delicious and easy alternative to chicken or pork.